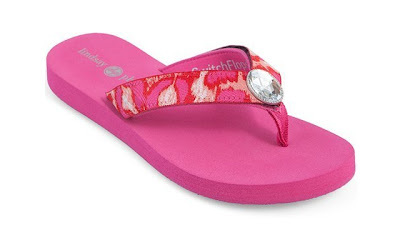 54% off the Switchflops Lulu Flats Shoes by Lindsay Phillips - Just $16.00 Shipped! The Switchflops Lulu Flats Shoes by Lindsay Phillips (in Pink for Breast Cancer Awareness) is currently selling for just $16.00 on Amazon.com! You will be saving 54% off the listed price of $16.00 with this women's sandal deal.